The cause of this particular piece of Jakarta wisdom has everything to do with Double Doors. 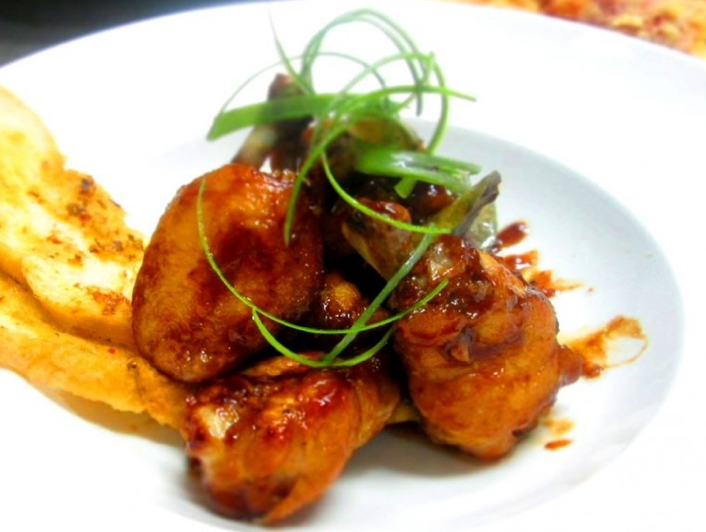 Oh hello, chicken wings. Have we mentioned recently that you’re our everything? As Puri has slowly-but-surely morphed from being ‘a nice neighborhood with a lovely Hypermart’ to ‘that place in West Jakarta where all of the food is’, nobody has quite mastered bar fare like Double Doors has. While we began with the chicken wings – because what sane human being would not want to learn the secret to life slathered in lime and garlic? – we would be culturally remiss to not mention that you just start at the chicken wings. 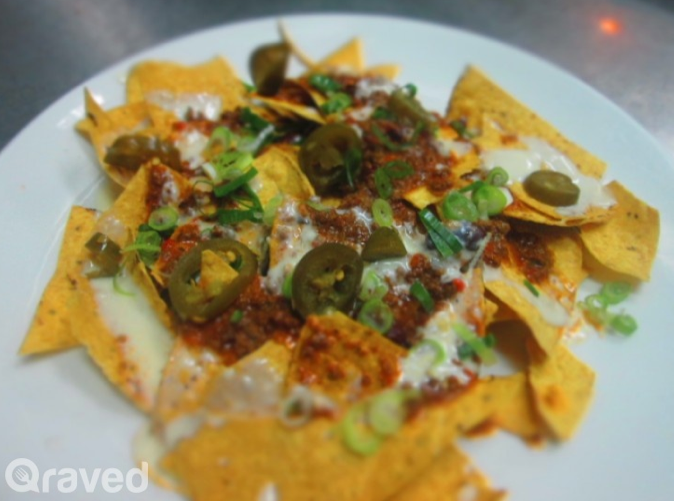 A little known piece of food history: nachos started out as a secret Tex-Mex American plot to take over the world using only the power of corn chips, cheese, jalapenos, and meat. They now arrive at the Double Doors in their ultimate form. There is nothing you can do to stop them. No, but seriously: you’re going to want to eat the nachos. They’re basically perfect in ways we imagine romance might be, if only we cared for other humans like we care for these corn chips covered in cheese and eye-watering peppers. The bar menu continues off into directions that range from the refined-yet-still-bacon-laden joys of the Bacon Spinach Fritata to the exquisite and possibly divinely inspired pork bites; pork bites being exactly what you think they are, and tasting exactly as good as you hoped they might. Finding yourself now unable to think about anything other than chicken wings? Double Doors is offering 50% off on your meal when you book through Qraved. The post Chicken Wings Can Fix Everything Wrong With Your Life appeared first on Qraved Journal.